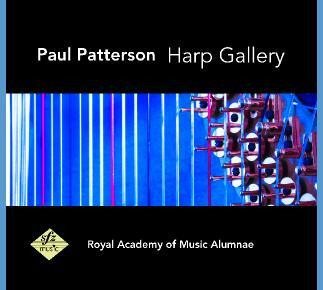 Lizards may be viewed as a sequel to Paul Patterson’s earlier solo harp pieces, Spiders(1985) and Bugs(2003) which have become widely known to harpist around world. At the request of the commissioners Patterson has written a work that is designed to introduce young performers to different types of contemporary harp techniques. These include pedal pitch bends, rapid bisbigliando effects, playing with the nails, tapping the sound board and sliding hands up the metal strings! It is in two movements that are joined together. The slow first movement is very atmospheric and is called the “Changing Chameleon”. After a dramatic opening the slow mysterious moving environment explores the use of different types of spread chords and a variety of glissandos that change in speed and colour, and alternates with shimmering tremolos and harmonics. The melodic line incorporates pitches from Thailand’s national anthem. Note in Bar 8 of the Chameleon: the way this is played is up to the discretion of the performer provided the melody is always clear. The vigorous second movement “Leaping Lizards” as the title implies is a humorous light hearted movement where the first four notes of the national anthem are totally transformed, and manipulated in an exotic manner using cannons, inversions and jazzy pedal glissandos. After a number of rhythmic sections with numerous cross rhythms the relentless energy builds to a huge climax that ends the work with intense virtuosity.